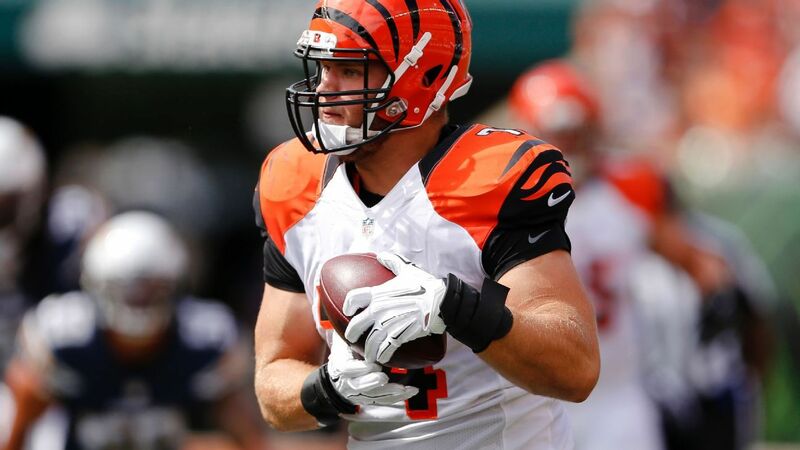 Cincinnati Bengals offensive tackle Jake Fisher said Wednesday he has been cleared for all football activity — seven months after undergoing heart surgery. The 2015 second-round draft pick had surgery Nov. 18 to correct an irregular heartbeat and has slowly been working his way back to the field. After being limited throughout the team’s voluntary workouts this offseason, Fisher was full-go Tuesday with the start of mandatory minicamp and participated in 11-on-11 drills for the first time since last fall. His return to practice Wednesday indicates he remains on track. Fisher had been medically cleared for workouts in late February, but has continued to monitor his heart rate and still will get checked every few months. He came into minicamp without too many expectations, and it is going about as well as he can hope. Fisher, who remains the leading candidate to start at right tackle, didn’t enjoy sitting out through portions of OTAs, but tried not to worry about when he would be cleared for full participation, he said. He used the time on the sidelines to prepare mentally, as the Bengals are installing a new offense in Bill Lazor’s first full season as offensive coordinator. The offensive line has gone through changes as well under new position coach Frank Pollack, and Fisher had some time to help bring rookie center Billy Price – recovering from pectoral surgery after the NFL combine — along as the two sat out of drills together. Fisher tries not to think about his heart. It was understandably a scary situation last fall when he was sent to the hospital early in the season with his heart racing. The 6-foot-6, 305-pound lineman had the same symptoms during a Nov. 5 game in Jacksonville and was again sent to the hospital. That was the last he would see the field, as the Bengals placed him on injured reserve a few days later to end his third season after just eight games. Two weeks later, he underwent a cardiac ablation procedure, which scars or destroys heart tissue that is allowing the incorrect electric signals and thus causing the irregular heartbeat.